Showing recent results 1816 - 1830 of 4500 products found. RSY-LT - Lisun Electronics Inc. Hot wire ignition tester is according to the standard requirement of IEC60695-2-20 and GB4943, which meets Standard Test Method for Ignition of Materials by Hot Wire Sources. It is suitable for electric and electronic products, household appliance materials to do ignition dangerous test. It simulates the heat source or ignition source of simulates glow component and overload resistance which may cause thermal stress in a short time. DWTT - Qualitest International Inc.
PANTESTER is an advanced multifunction pin-by-pin cable tester to verify cable integrity of Datacom. Telecom and Coaxial cables and displays the test results on the main unit. It includes 8 separate remote ID terminators allows one person to view test results for 8 installed cables at a time to save time and money. Capabilities including (A) Auto/ID test function – It allows users to quickly check up to 8 installed data, voice and Coax cable at a time. It displays the passed cable type, ID number and identifies crossover and reversed and faulty cable in a second. (B) Blink Hub function – It blinks the Hub/Switch port light for easy outlet and cable identification, locate corresponding outlet on Hub/Switch and identifies network activity and speed. 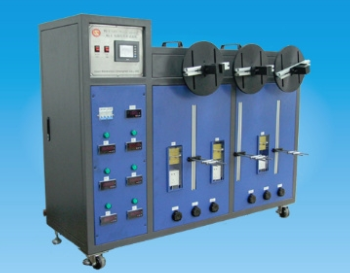 (PK-7891 only) (C) Learning function – It makes testing cable in any quantity a snap. It memory’s stores any standard or custom configuration and performs on instant no-button check on each new cable plugged in, makes testing large quantities of cable quicker and easier. (D) Tone generator function – It allows you to send a Hi/ or Low tone on individual pin or pair and on all pins simultaneously to locate a wire break. 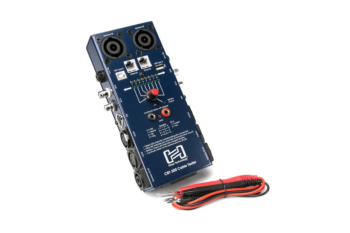 The tone generator traces cable using a tone detectable by Net Probe (PR-06P) or any market tone probe. It will make work shorter and easier for the professional and the layman alike. 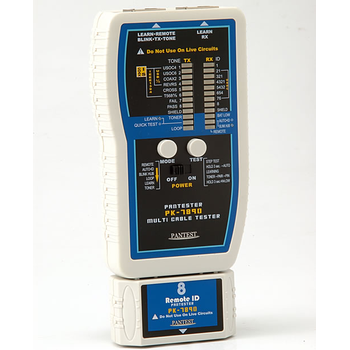 The T101R/2V DIODE and SCR tester puts the sophisticated testing capability of high-priced, specialized units into a portable package that is economically priced and easy to use. It includes provisions for checking DIODES and SCR's (includes axial leads, stud mount, and flat packs) for opens, shorts, leaks, and breakdown under actual operating conditions. 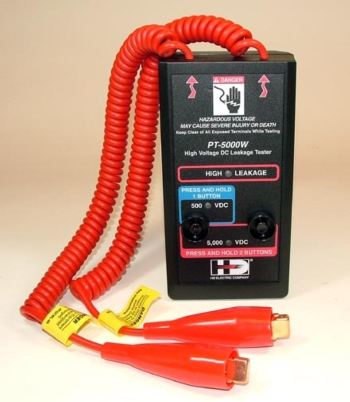 The leakage test applies a continuously variable peak voltage from 0 to 2,000 volts. 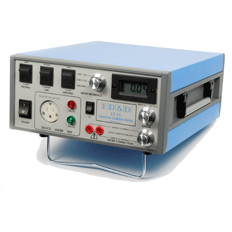 This test shows if the DIODE or SCR will breakdown under operating conditions and is monitored by a peak reading DC voltmeter and ammeter. A built-in current trip disconnects power if the leakage current exceeds 15 milliamps during DIODE tests or 10 milliamps during SCR tests. The SCR gating test checks gate control characteristics and provides a means of matching SCR's according to their gate-current characteristics. 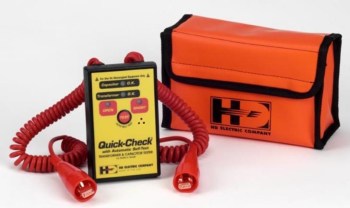 This test is also monitored by a DC voltmeter and ammeter. The T101R/2V is a compact 6 x 12 x 17 inches and it operates on 120 VAC, 60 Hz line voltages. An easy to use instruction plate is included inside the front cover. 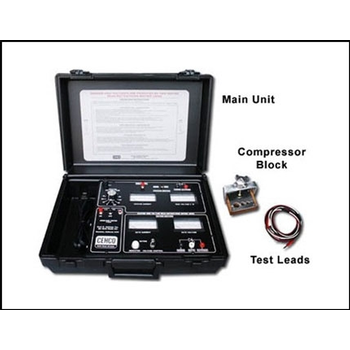 Unit comes with test leads and compressor block. For 120 VAC, 50 Hz models, consult the factory. Additional 240/120 VAC step down transformers is included in the 50 Hz models. Model BTT-5700 - Branick Industries, Inc. The Branick BTT-5700 was created from the ground up to be the most efficient, durable and reliable electronic tire tester available. 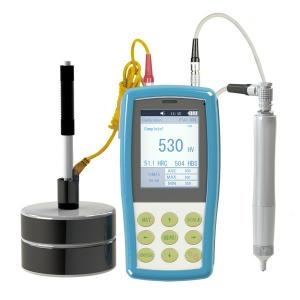 The electronic detector accurately locates flaws that may be missed using conventional methods. A visible spark occurs at the site of a flaw and the rotation stops to allow the flaw to be marked. The adjustable height platform reduces physical strain that can often lead to workers compensation claims. The BTT-5700 also features a bi-directional variable speed electric rotation motor that is whisper quiet. 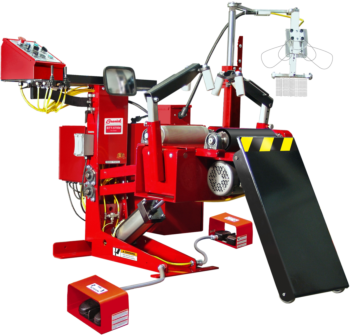 The auto extend/retract ramp makes tire loading easy. Hand controls are located on a locking swing arm that can be adjusted in seconds. Four air tool ports and two electric outlets are also provided so any needed tools can be kept close for improved efficiency. A high power LED light and Medium Truck Probe are also included. All probe heads require only the push of a button to change and are available to fit all common tire sizes. And, like everything from Branick, it's made in the USA. LEDLS-60/LEDLS-12 - Lisun Electronics Inc.
UCI-3000 - Qualitest International Inc. It is the highest brightness display in China showing all functions and parameters, easy read Largest screen Oled screen and operate,also can save lots of energy .the largest screen of Leeb hardness tester in China. Two hardness scale dual-display in the screen. Measuring direction in 360 and add the auto measure direction to make test easy and precision. Add four new hardness scales, HRA, HB for D impact device of alloy tool steel; HV for cast aluminum alloy. 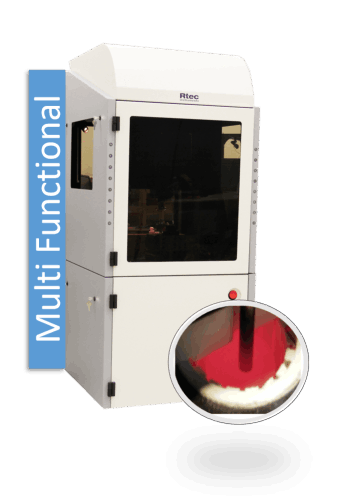 Add New user material function, to meet the need of user can test the special material. Test at any angle, even upside down. Wide measuring range. It can measure the hardness of all metallic materials. 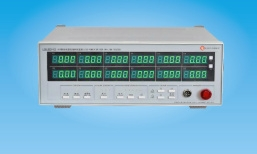 Direct display of hardness scales HRB, HRC, HV, HB, HS, HL and three types of strength values immediately. Seven impact devices are available for special application. Automatically identify the type of impact devices. Large capacity memory could store 600 groups (Relative to average times321 ) information including single measured value, mean value, testing data, impact direction, impact times, material and hardness scale etc. Upper and lower limit can be preset. It will alarm automatically when the result value exceeding the limit. Battery information indicates the rest capacity of the battery and the charge status. User calibration function. USB port with the PC humanity multi-functions data proceeding software. Original imported high speed thermal printer support the immediate printing function. It can save data permanently. Li rechargeable battery as the power source. Charge circuit integrated inside the instrument. Continuous working period of no less than 200 hours (EL off and no printing). Auto power off to save energy. Excellent after-sale service system for high quality products---3 years guarantee and all life maintenance. Easy to buy and comfortable to use. 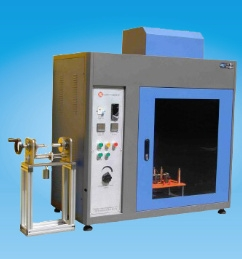 SW-6 - Lisun Electronics Inc.
SW-6 Power cord bending tester is fully designed according to the IEC standard, and can also be costumer-sized depends on the samples’ type and the costumer’s requirement. Specifications: • Power supply：AC220V 50/60HZ 12KVA • Control mode: PLC with touch screen and Servo motor. • Test Speed: 10~60times/min (Adjustable) • Test Degree: 0~540° (Adjustable) • Counter: 0~999999 (Can be pre-set) • Weight: 5N,10N,20N. 2Sets. 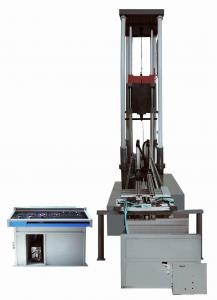 (6Position type will have 6 Sets) • Position: 2/6 • Load Current: 0~20A (Adjustable) • Angle plate: Can check the test situation • Sample fixture: Can be costumer-sized. 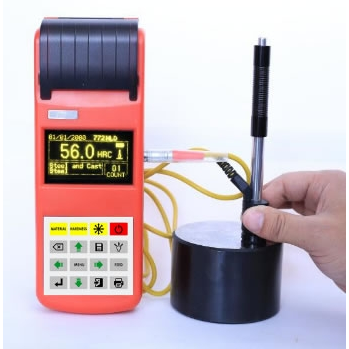 • Can do power line bending test (The User need prepare sample and power supply ), Can record the number of the sample’s work with load.